The concept of turning our smartphones into our wallets has been around for awhile now. Ever since we discovered the mass amount of potential we hold in our pockets, the NFC wheels have been churning. 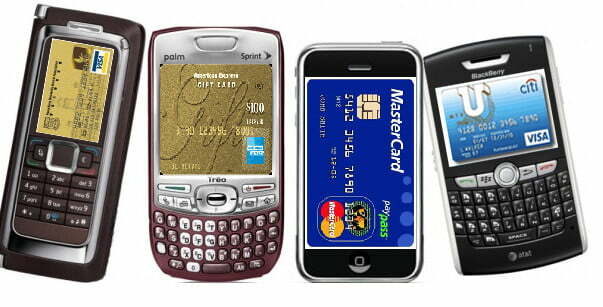 A recent report from Juniper Research says the global NFC mobile payment transactions will reach approximately $50 billion by 2014, and the next few years are supposed to be major turning points. The technology and consumer interest are there, as are some baby steps in the right direction – but this doesn’t mean it’s going to be easy. For starters, there are some roadblocks to consider. Researchers Andreas Schaller and Thomas J.P. Wiechert have studied NFC and its place in retail businesses in Europe, and found that while consumer response to the technology has been generally positive there are many different sectors that need to get on board before phones universally have this capability. Manufacturers can continue to produce phones with NFC chips all they want, but there won’t be any mass adoption until retailers have compatible registers and mobile carriers and credit card companies come to agreements regarding transaction payments. 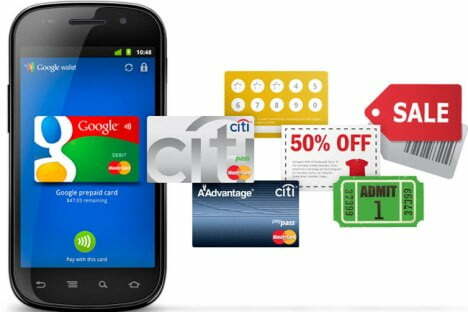 So when will we see mobile payments become commonplace? “If you’d asked me two or three years ago I would have been sure that we’d already be there by now,” Wiechert laughs. “It’s all going very slow because it’s the old chicken and the egg problem. You need to have terminals in the stores in order for credit card companies and mobile phone companies to issue the cards in the phones…on the other side you need to have the cards in the phones.” The factors in the mobile payments market are so fragmented that it’s been difficult to concretely pin down what steps need to be taken to find a solution – and more importantly, in what order. Despite any sluggishness, it seems like interest might be on the up – at least in the UK. Vodafone, O2, Orange, and T-Mobile announced today they would be partnering to bring NFC payments to their customers. According to the Guardian, “Consumers will be able to pay for sandwiches, drinks, and train tickets by placing their phones close to a reader similar to the Oyster card system on the London Underground.” The report also acknowledges that while NFC has been widely adopted in Japan and South Korea, Europe has struggled to seriously implement the system. This progress isn’t limited to Europe only. Google Wallet was announced last month, giving us compatible Android phones (currently only the the Nexus S) with the capability. At the moment, MasterCard is the only credit card company working with Google on the service, as are approximately 120,000 merchant locations. It’s too early to decide how successful Google’s venture will be, but some are ready to call it a flop. Launching with only MasterCard’s partnership is too limiting, security concerns haven’t been properly addressed, all the big name mobile networks aren’t on board. “Google is not currently in the position to bring the technology into the market at this time. They are getting more into the mobile market with the Android OS but to do that stuff you need to have people that have phones with the NFC module in their hands. And the key players to do that are the mobile network operators. They’re the ones basically choosing what phones you buy – you usually buy them from your operator – and for them to do that they need to see that they’re benefitting from it. So what they want is to make money from each payment or from each credit card that is delivered to your phone,” Wiechert admits. “But Google is a company that has more money than God. When they do stuff it doesn’t have to pay off right away. They have the financial stamina to try stuff that they think is cool that’s going to be big in 10 years and they can just do it,” he adds.